Several members of White Dragon Judo Club were in attendance for the first judo open workout of 2015. 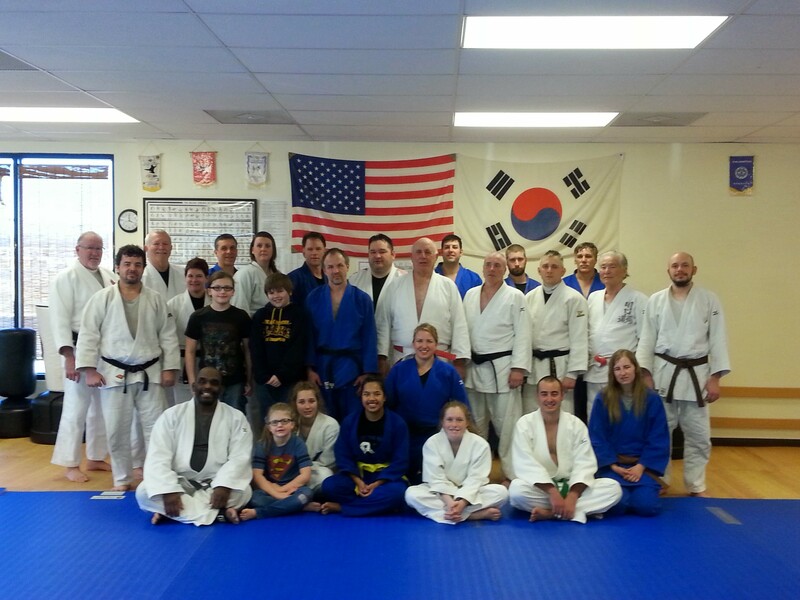 Missouri Martial Arts in House Springs, Missouri hosted this event on February 7, 2015. 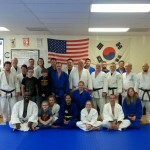 The judo clinic featured rokudan (6th degree black belt) Gary Prindiville. The former police officer studied judo overseas and in the United States. He is a student of Grandmaster Bong Yul Shin. The highly accomplished judoka is a stickler for the FUNDAMENTALS. Sensei Prindiville taught two throws during this clinic, osotogari and tai otoshi. These were Prindiville’s best competition techniques. He broke down each technique step by step. He stated that the slightest deviation in technique could mean the difference between an ippon and a yuko or no score. Lastly, Sensei Prindiville stressed the importance of PRACTICE. Prindiville also demonstrated a couple of practice methods that are most common in a judoka’s daily training. Sensei Prindiville enjoys teaching judo at the Moo Do Kwan School of Martial Arts in Brentwood, Missouri. 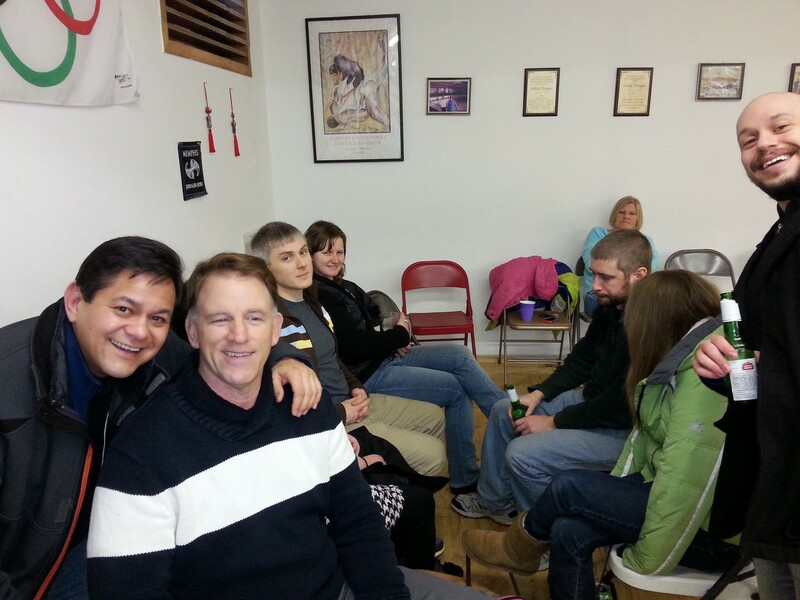 White Dragon Judo Club had there annual Holiday Party on January 31, 2015. This was a time that members and their families could come together and celebrate the new year. There was lots of food, games, kids and cheerful, casual conversation. 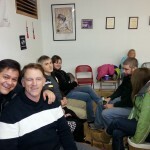 The event also had the opportunity to celebrate the birthday of Sensei Derick’s cousin, Bruce Wellman. The members of the judo club would like wish Bruce Wellman a Happy Birthday. There are numerous event like this that the club host. Feel free to check theand the club’s two Facebook pages for details.